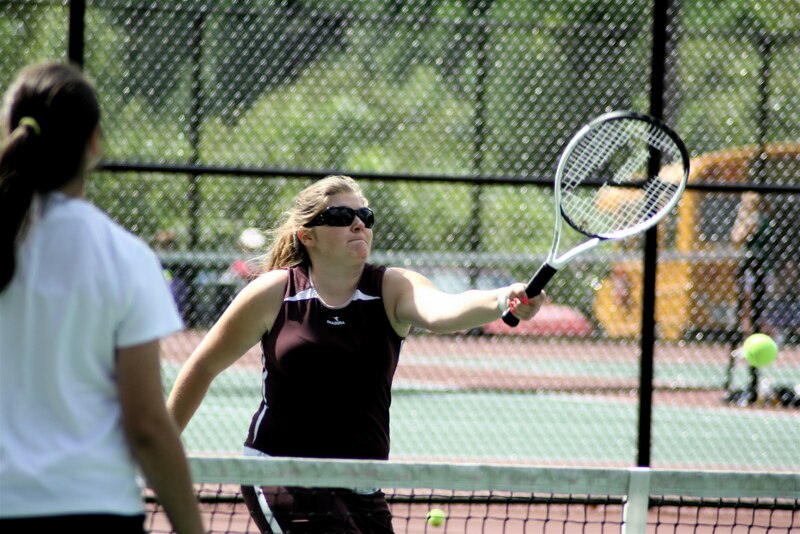 LYONS (Sep 22 10) – The Lyons girls’ tennis team is working through a frustrating week. On Monday, the Lady Lions lost to Clyde-Savannah, 3-2, and on Tuesday, they fell to North Rose-Wolcott by the same score. A third match today with Sodus was postponed because of rain. The points in both losses came from the winning doubles teams of Becky Heid and Chelsey Friend, and Tori Barner and Morgan Slocum. 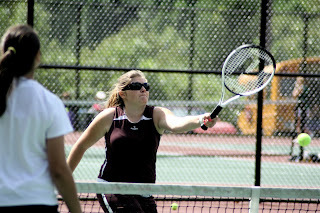 Coach Colleen Boardman said Heid and Friend will try to qualify for sectionals on Friday, along with singles players Courtney Brownell and Emily Gifford. Lyons is in the busiest part of its season now, with matches next week against North Rose-Wolcott on Monday, Sodus on Tuesday, East Rochester on Wednesday and Marion on Friday. The girls are 2-4 in the Wayne County League and 3-5 overall, with more wins this season than the last two years combined. 0 Comments to "LYONS TENNIS LOSES TWO MATCHES, SECTIONALS QUALIFIER IS NEXT"